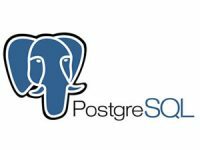 PostgreSQL streaming physical replication with slots simplifies setup and maintenance procedures. Usually, you should estimate disk usage for the Write Ahead Log (WAL) and provide appropriate limitation to the number of segments and setup of the WAL archive procedure. In this article, you will see how to use replication with slots and understand what problems it could solve. PostgreSQL physical replication is based on WAL. Th Write Ahead Log contains all database changes, saved in 16MB segment files. Normally postgres tries to keep segments between checkpoints. So with default settings, just 1GB of WAL segment files is available. Replication requires all WAL files created after backup and up until the current time. Previously, it was necessary to keep a huge archive directory (usually mounted by NFS to all slave servers). The slots feature introduced in 9.4 allows Postgres to track the latest segment downloaded by a slave server. Now, PostgreSQL can keep all segments on disk, even without archiving, if a slave is seriously behind its master due to downtime or networking issues. The drawback: the disk space could be consumed infinitely in the case of configuration error. Before continuing, if you need a better understanding of physical replication and streaming replication, I recommend you read “Streaming Replication with PostgreSQL“. To setup replication, you need at least two PostgreSQL servers. I’m using pgcli (pgc) to setup both servers on the same host. It’s easy to install on Linux, Windows, and OS X, and provides the ability to download and run any version of PostgreSQL on your staging server or even on your laptop. python -c "$(curl -fsSL https://s3.amazonaws.com/pgcentral/install.py)"
If you are running master and slave on different servers, please replace 127.0.0.1 with the slave’s address. master$ psql psql (10.6) Type "help" for help. Before replication configuration, we can fill the WAL with random data and find that after 1.1G, the data/pg10/pg_wal directory size does not increase regardless of the number of update queries. # If you are running master and slave on different servers, replace 127.0.0.1 with master's IP address. Unfortunately pg_basebackup hangs with: initiating base backup, waiting for checkpoint to complete. We can wait for the next checkpoint, or force the checkpoint on the master. Checkpoint happens every checkpoint_timeout seconds, and is set to five minutes by default. Certainly, the WAL could grow infinitely until whole disk space is consumed. How do we find out the reason for this? We have one slot behind the master of 2.38GB. pg_basebackup -R option instructs backup to write to the recovery.conf file with all required options, including primary_slot_name. Let’s simulate slave server maintenance with ./pgc stop pg10 executed on the slave. We’ll push some data onto the master again (execute the UPDATE query 4 times). Now, “slot1” is again 2.36GB behind. archive_mode is not required for streaming replication with slots. Physical replication setup is really easy with slots. By default in pg10, all settings are already prepared for replication setup. Be careful with orphaned slots. PostgreSQL will not remove WAL segments for inactive slots with initialized restart_lsn. Check pg_replication_slots restart_lsn value and compare it with current redo_lsn. Avoid long downtime for slave servers with slots configured. Please use meaningful names for slots, as that will simplify debug. Thanks for the walk-through, it was very helpful.